Who would have thought ten years ago that we would need antivirus software on our phones? And yet, it is now a reality. These connected devices present risks comparable to those of computers. Indeed, these are no longer just phones, they are smartphones, real miniaturized computers. And it didn't take long for dedicated malware to arrive, targeting Android in particular. But what are the risks if you don't protect your smartphone or tablet? Do we really need a security application? Do publishers offer products that meet users' expectations? The answer in the next few lines. On a computer, viruses can be caught in many ways: by going to infrequent sites, downloading infected files or running a malicious program. On Android, it's a little different. In addition to the usual phishing attempts to retrieve personal information, it is mainly the applications that are responsible. Indeed, an infected application uses vulnerabilities in the system to cause damage. And the least we can say is that hackers love Android very much. 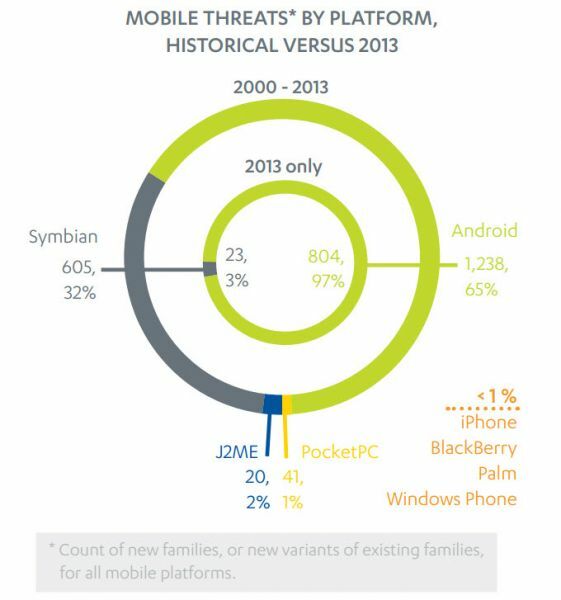 Thus, in 2013, 97% of mobile malware was on Android while the remaining 3% was shared by other systems. It should not be forgotten that Google's operating system is also very popular and therefore very interesting for spreading threats. How can you be infected by these malware? The main vectors of malware are the own applications. Indeed, nothing is easier than creating a clone of a successful application, adding malware and offering it for download. But why on Android and not elsewhere? If we take the example of iOS, the App Store is the only application market available. And Apple is extremely rigorous, there are many controls and the Cupertino company knows how to be uncompromising with developers. On the other hand, even if the official Android market is Google Play, there are many alternative platforms that are much less secure. There are clean applications but also others that are dangerous and infected. However, Google Play is not infallible. Last October, it was the ESET publisher who detected that infected applications had fallen through the cracks of the Google Play net. These surfed on the popularity of certain games to offer tips that actually contained Trojans. This is exactly the kind of situation where an Android antivirus is essential: if you download a dangerous application, the antivirus can detect the threat and stop the download or installation of the program. To make this comparison, we have selected 8 antivirus among the best known and most used on Android. There are 7 publishers whose products we have already tested on computers: Avira, Avast, Bitdefender, Eset, Kaspersky, Norton and Panda. To complete this selection, we have added a latest application that has a very good reputation on Android: Lookout. We did not only focus on virus or malware detection. These applications often have other advantages. These include web protection, an anti-theft function to locate your mobile in the event of loss or theft, and privacy protection through application authorization management. Our test smartphone is a Xiaomi RedNote 2 and has been updated to its latest version, at least its software overlay. To check the functioning of each antivirus, we submitted Android malware as well as flawed applications to him to see if the application was able to detect them or even neutralize them. We also checked all the additional features offered: web protection, device anti-theft and localization function, task manager... Our objective is not to replace test organizations like AV-TEST but to propose an approach that would be that of a normal user, i.e. a person who would like to find a good antivirus application for his device. As a bonus, we also submitted PC viruses to the applications. Even if they are not intended to neutralize them, we wanted to see if they were able to detect them in order to stop the possible spread of infected files.